If the projections for Hurricane Irene come true, we might have tropical storm conditions on Sunday. We are working to make sure the animals have adequate shelter. And we are also preparing for the possibility of a power failure. Despite our mission of farming sustainably, we are very dependent on electricity for many things, including the fences that keep animals in and predators out. 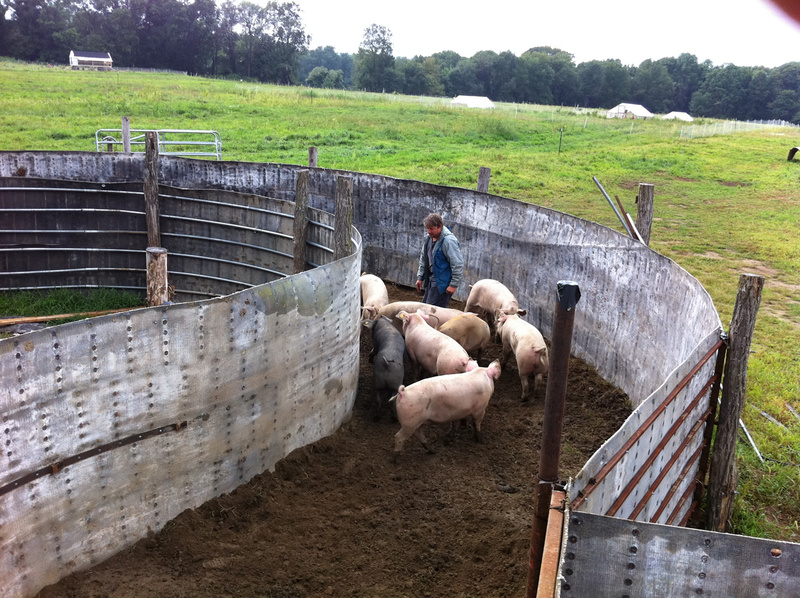 Steve has temporarily put the pigs into the corral, where they will be very cozy and secure without power. The chickens will be shut in their houses temporarily, and the cows will bunk with the pigs. This should please the pigs no end—they love the cows and visit them whenever they get the chance. The feelings are not mutual, but cows will just have to tolerate their annoying little friends for a day or so.